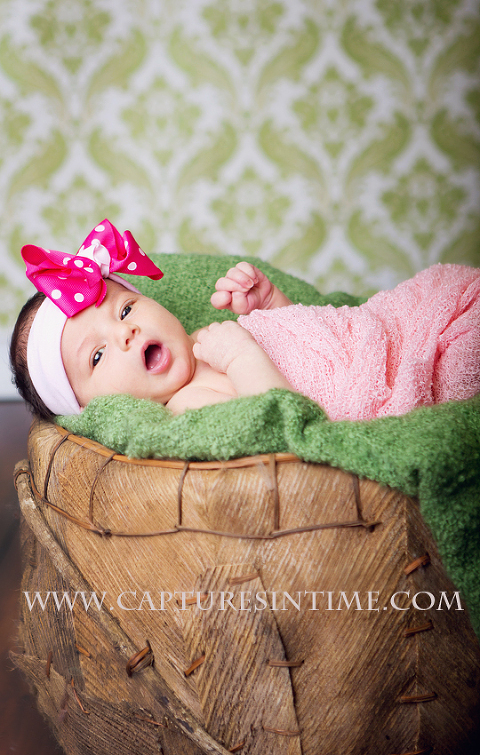 Glad to see a little pink at my Kansas City studio for newborn photos! The ratio of boy babies to girl babies sure does seem to be favoring the boys lately! I was glad to get to play with some pastels, what a cutie. 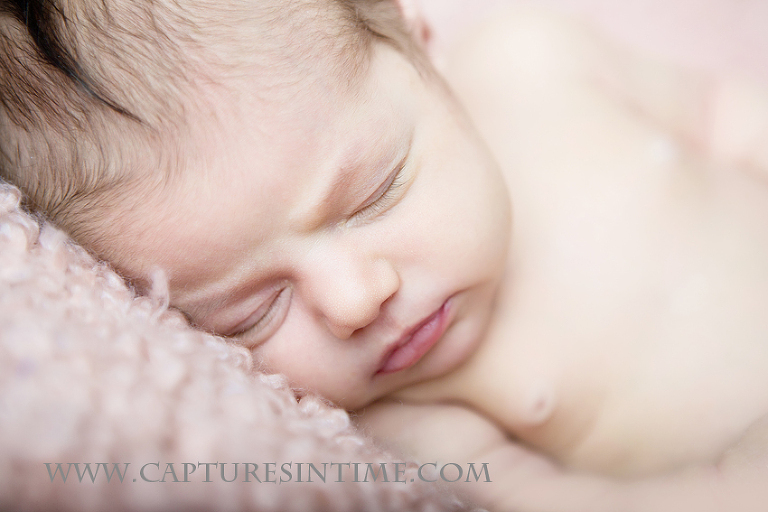 A little older than the normal 1-2 weeks, but she was both bright-eyed and sleepy for her session! Loved using some pink and floral drops. I am in love with this green damask backdrop. I pretty much love damask in any color. There is something about pink paired with green that I really like. I don’t know if it reminds me of watermelon or what it is exactly, but it is bright and fresh. It’s not a combination you see everywhere. I really like the texture of this pale pink blanket I found for beanbag poses. It is kind of nubby but still really, really soft. I ran across this green blanket at TJ Max. It’s going to be great to use indoors and out for spring. Mom brought in a bow she had purchased for baby before she arrived. It was a little big, but we used it anyway for a quick shot.